The militants of the terrorist group "LPR" in the Donbas captured two Ukrainian servicemen, the press center of the 14th separate mechanized brigade of the Armed Forces of Ukraine reported on Facebook. 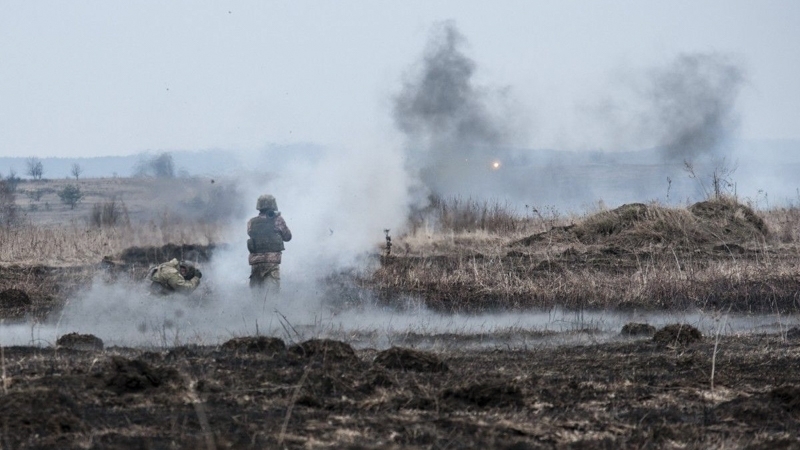 “On May 26, two of our servicemen, during their moving to the front-line observation post, were basely abducted by the sabotage and reconnaissance group of the enemy. During the week, nothing was known about the fate of our fighters," reads the report. The press center noted that the militants may have exerted psychological and physical pressure on the Ukrainian military. “Now they, according to the information published by the media of one of the pseudo-republics, are alive - and this is the most important, however they are taken captive by enemy. And they are shamelessly used by the invaders for the purposes of pro-Russian propaganda,” the message says. Earlier, the soldier of the 30th separate Novohrad-Volyn Rovno mechanized brigade of the Armed Forces of Ukraine who was disappeared on May 24 in the Donbas was taken prisoner by militants. According to the APU, the terrorists subjected him to torture.